Diketo IE in association with Samoka presents a stand-up comedy show in commemoration of Human Rights Day. 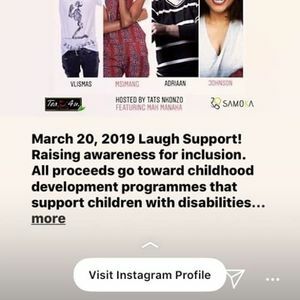 Join us in the laughter and fun as we stand up and raise awareness together for inclusion. 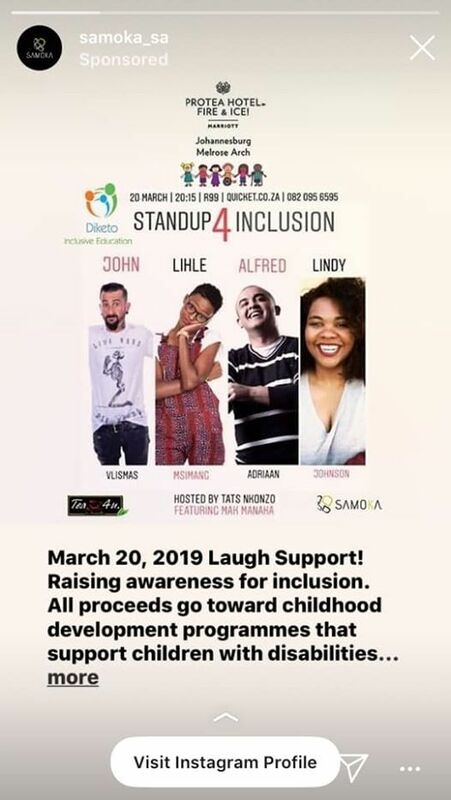 All proceeds from the show go toward early childhood development programmes that support children with disabilities to access and enjoy their right to play and learning spaces. 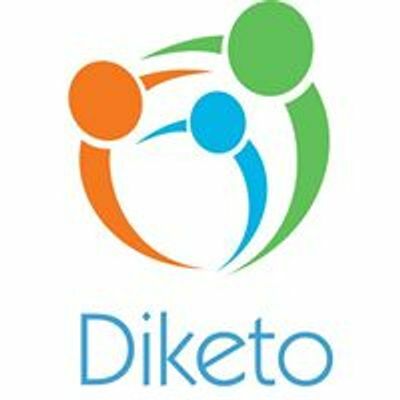 Follow & like us on Instagram & Twitter @diketosa. The Dino Expo Sandton, Rivonia Central.